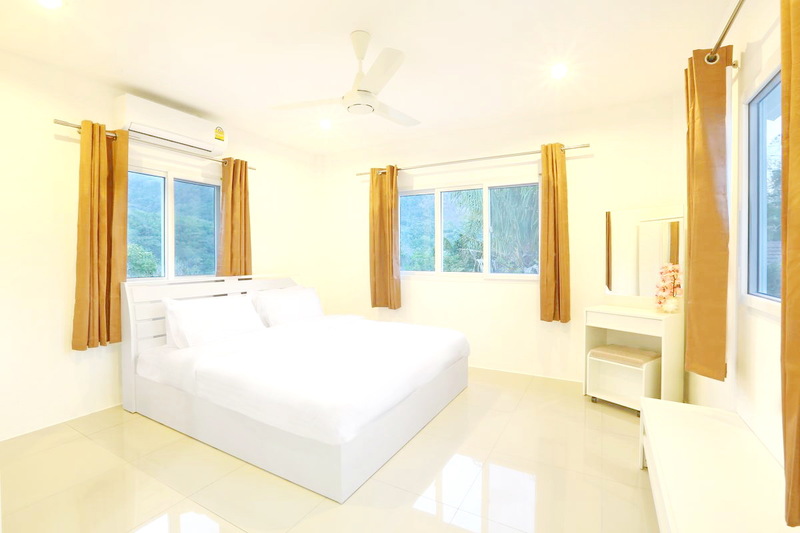 This house is located in the tranquil and breathtaking scenery of one of Phuket s most stunning natural environments. 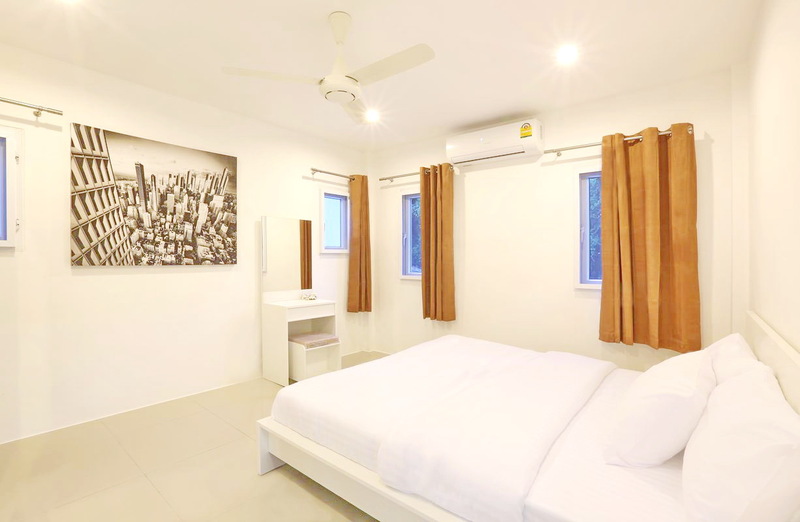 Only around 3-5 minutes driving to shopping area, and around 15 minutes driving to Rawai and Nai Harn beach.The house comes with 2 bedrooms, 2 bathrooms (1 en-suite, 1 separate), open plan living and dining area. Air-condition units fitted in both bedrooms and living room. 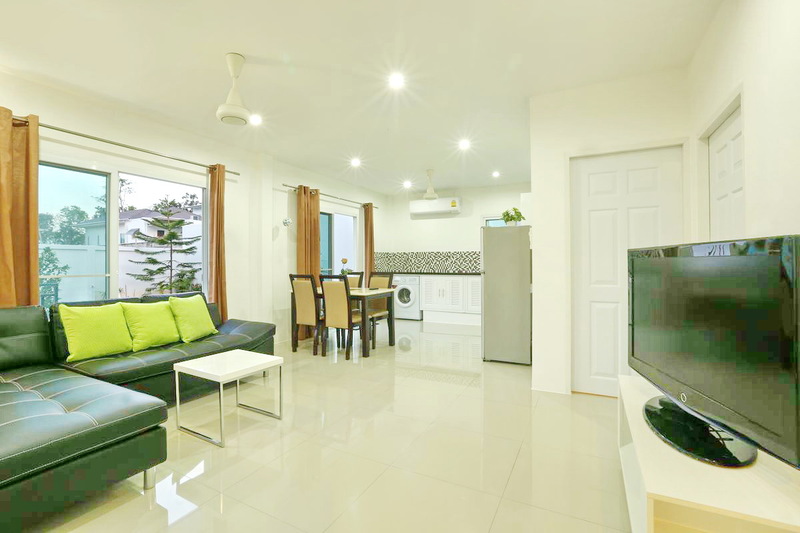 The house is occupying two levels with extra room as third bedroom -or utility room.There is fitted western style kitchen with granite tops and front load washing machine; hot and cold water throughout. 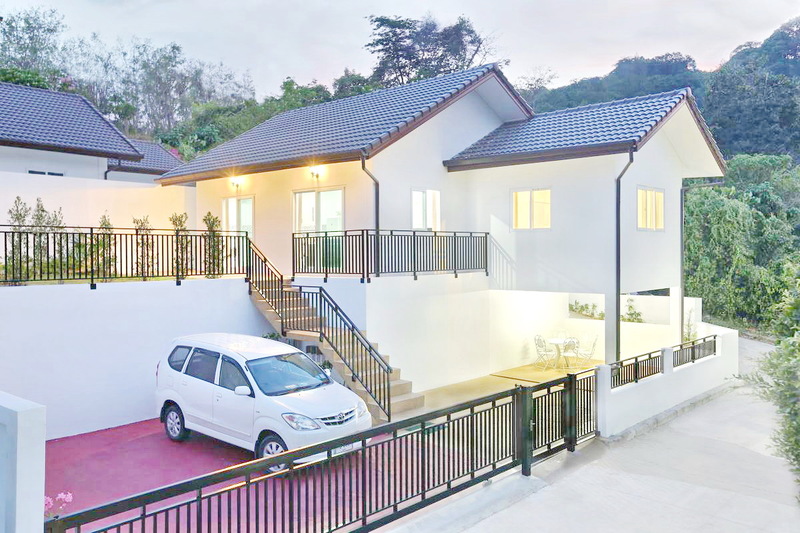 There are two car parking spaces with sliding gate, elevated garden and 3 very large underground water storage tanks with rain water filtration system fully installed. The price 5,500,000 THB. Freehold with Thai company or Thai name.